2014 has taken fashion to a new level when it comes to anarkalis, sarees and all other festive wear. 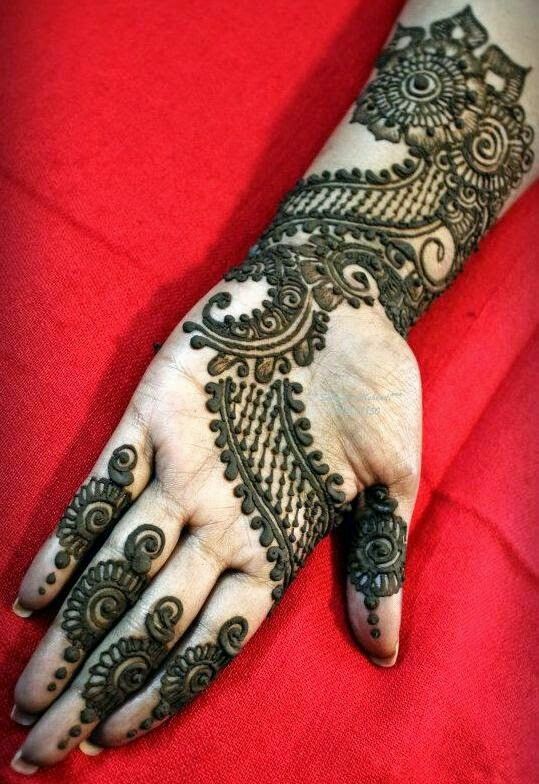 Our favorite girly obsession – mehandi – hasn’t been ignored. 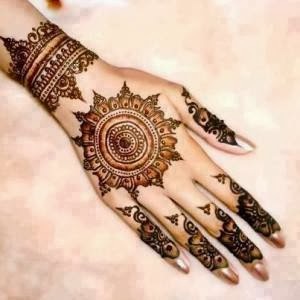 From gorgeous geometric designs, to minimalistic and subtle designs, 2014 has brought a lot of innovation and beauty into mehandi designs this year. Before the festive season begins have a look at the most stunning mehandi designs for 2014 and pick one which goes with your style. 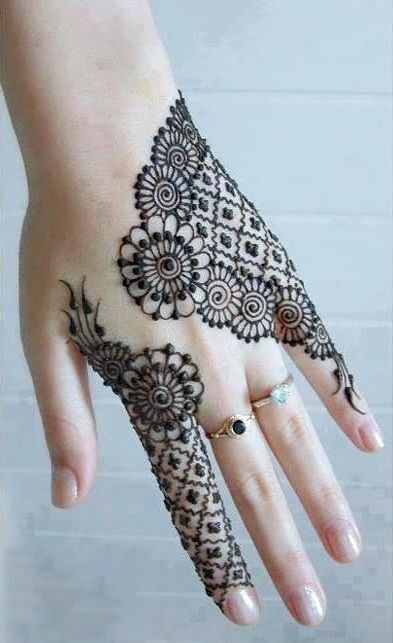 Mehandi is getting more and more experimental these days. Bridal mehandi can be a little restricting at times with the kind of detailing and length that’s required, so it’s actually the non-brides who are having the most fun with mehandi this season. Most of the designs are characterized with a free-flowing nature inspired design which does not go much beyond the wrist. The detailing doses are few and far in between letting your hands look sophisticated in a really subtle kind of way. 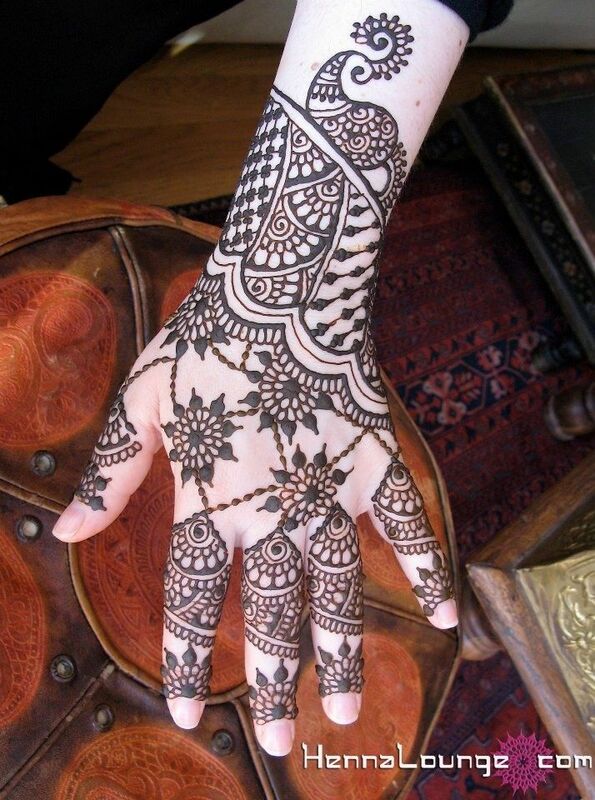 Arabic mehandi is showing really beautiful designs this year. The little glitter adds so much glamour to your hands! 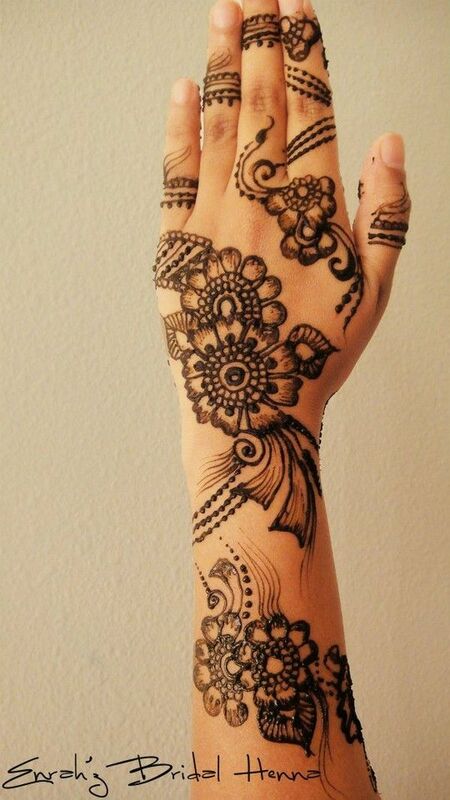 The best thing about Arabic mehandi apart from its really deep and dark color is the amount of space that you have to play around. The easiest way of going glitzy is replacing the trailing dots with some glittery stick on’s. They work well within the design and as its complements also. These are just perfect for friends of the bride – elegant but not over the top. Mehandi with colorful elements is so great to look at. Here’s a tip for those of you just itching to try this type of design out – don’t go for only one color if you are heading for a festive occasion, try to pair the colors with their contrasting colors in bits to keep your design looking interesting. You could of course try to match the color filling with that of your dress, but that can cause your mehandi design to get a little lost. 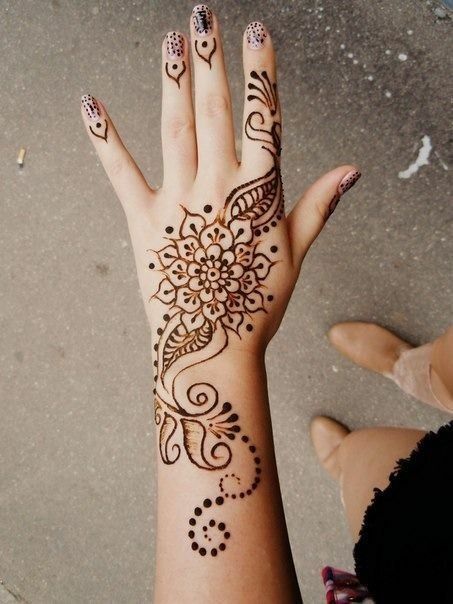 Minimalist mehandi is all the rage this season. And why not? These designs are not ostentatious, yet they serve the purpose. These cute flowery designs look very elegant and can be easily ignored when you go to work the next day. 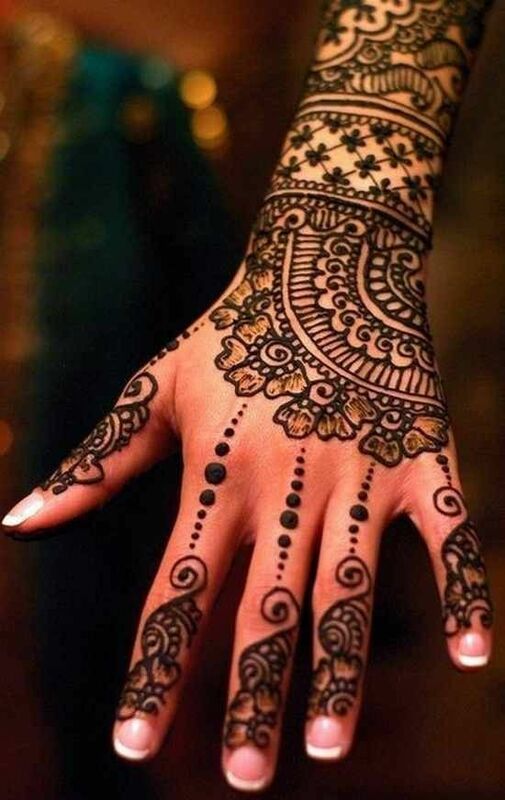 Some designs lean towards free flowing mehandi which we find fascinating, because even though the design is not traditional it still draws your eyes and makes you want to try it out. These designs generally take up one finger mainly with nominal embellishments on the other fingers. To glam up your minimalistic mehandi designs opt for some huge eye catching rings on your fingers and keep up with the festive spirit. Geometric designs are really catching on this year. 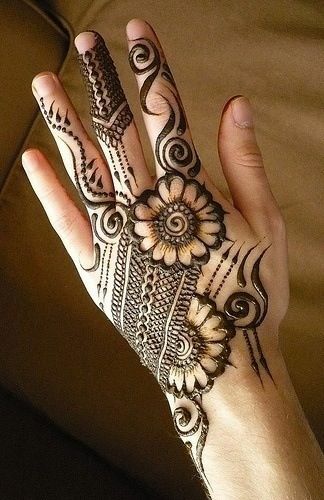 Mehandi designs are increasingly leaning towards geometrical inspiration rather than the old as mehandi itself flowers etc. The detailing remains traditional to make up for the radical but smashing hot geometric designs. Use mehandi on your feet as a final accessory for your outfit this festive season. 2014 has brought some really interesting designs for feet as well. From glitzy stones to minimal but beautiful bordering work, mehandi designs on feet have a lot to offer this season. 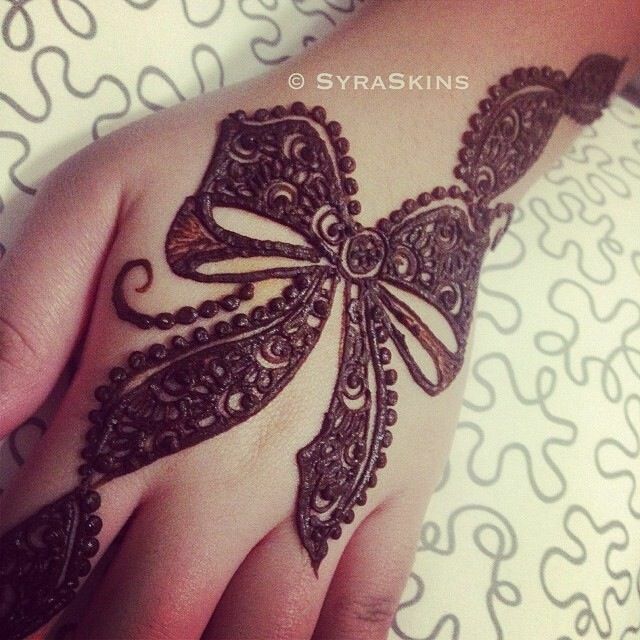 So go ahead and pick your favorite mehandi designs from 2014!